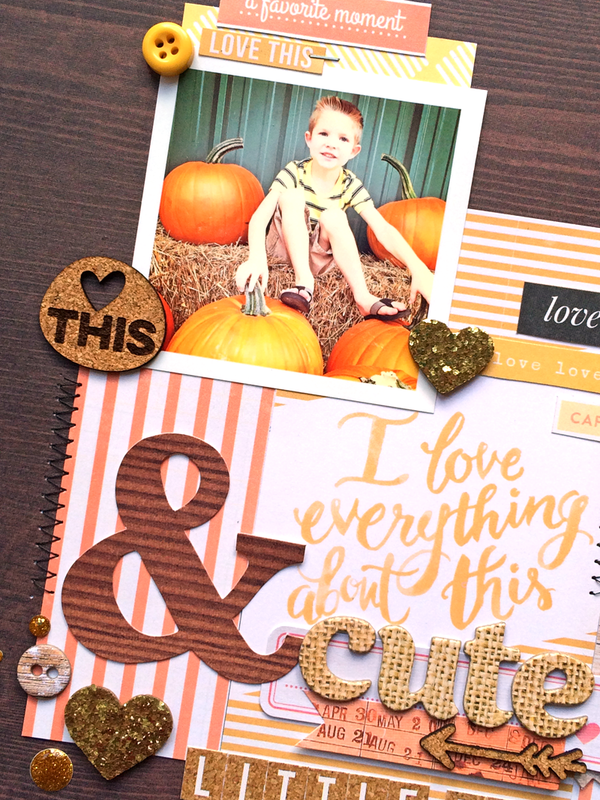 I am having so much fun creating away with the October 2014 Hip Kit & Add-On Kits from Hip Kit Club! I am stopping in today, to share a new layout and card with you! I love the versatility of the Kits! 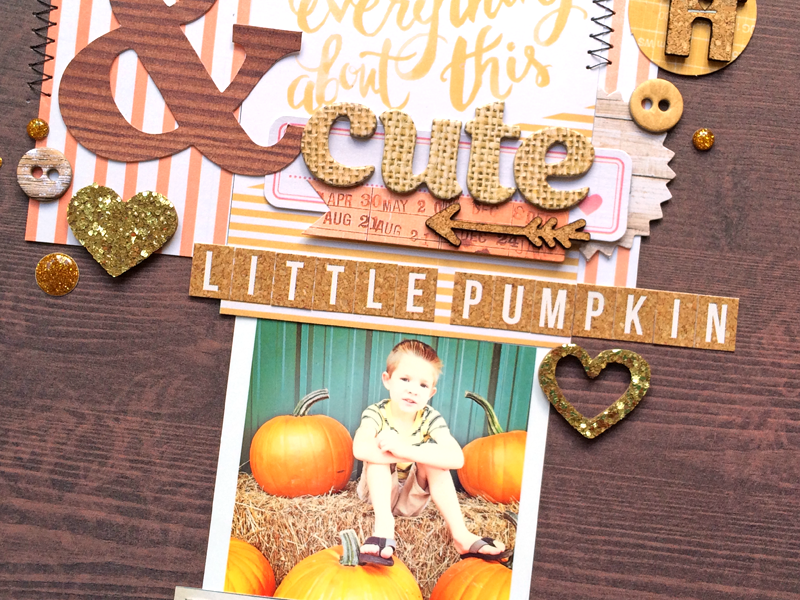 You can create Fall/Autumn layouts, everyday layouts and even Halloween layouts...or cards in my case! Sometimes when I am starting a layout, there is a paper or embellishment that catches my eye, and I decide to design my layout around it. The Crate Paper Full Heart patterned paper in the October 2014 Hip Kit & Add-On Kits, caught my eye and gave me an idea for this layout. I cut out the I Love Everything About This card from the paper and designed the rest of my page around it. I liked that I could use it to create a long title, by adding the burlap Thickers and the Teresa Collins alpha stickers. And the Gold Thickers from the Story pack and cork embellishments from Elle's Studio, fit right in with the look I wanted to create on my page. 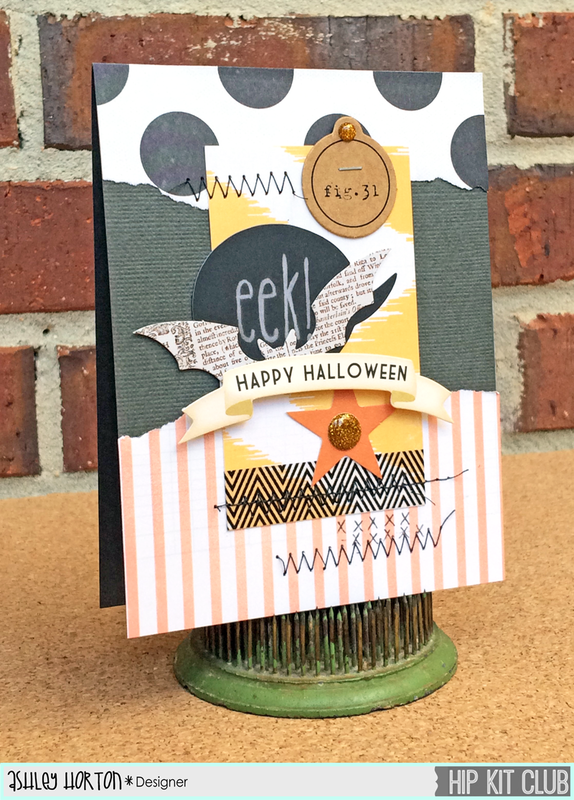 I created a fun Halloween card using some of the scrap pieces left over from my other projects. I tore the edges of my patterned paper and added them to the dark Gray cardstock from the Cardstock Add-On Kit. Then I added embellishments from the American Crafts Haunted Hollow collection, to another piece of scrap paper, as the focus of my card. And I added a bit of messy machine stitching to finish my card! And make sure you visit the Hip Kit Club Shop to check out the amazing December Documented 2014 Kit! 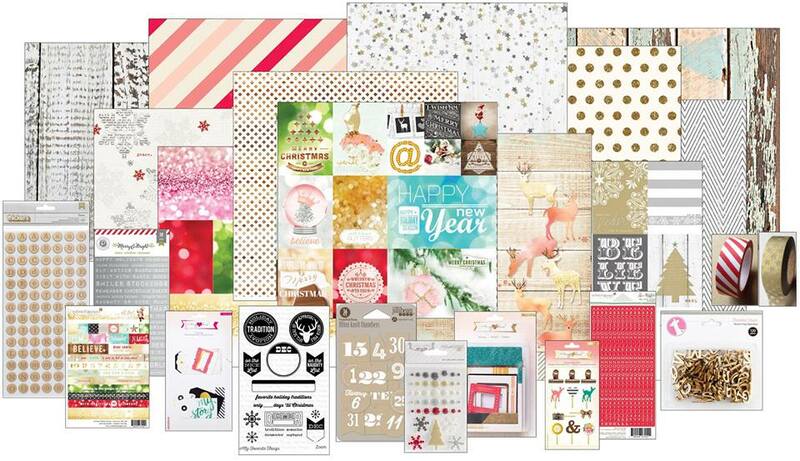 It is filled with so many awesome goodies for documenting all of your December festivities! !